Here information about what is new at The Model Trading Post. Check back frequently for updates. November 19, 2008: CHECK OUT OUR SALE PRICES! Just in time for Christmas ordering, check out our prices too low to show! If you want to receive your order in time for Christmas, it is a good idea to place your order by December 12, 2008. October 31, 2008:Christmas and Fall models now in stock! All of the 2008 Christmas items are now in stock, but they are going fast. Big Chex to Cash and Wind are in stock! February 1, 2008: Now taking orders for 2008 Christmas items! We received ordering information on the 2008 Christmas models today and will post pictures as soon as we are allowed. Christmas items are now available for pre-order and will be sold on a first come first served basis. January 18, 2008: Color Crazy Mares on their way! The Color Crazy mares are on their way, will be here week of January 21. Orders will be filled on a first come first served basis and you will be emailed when your order ships. January 17, 2008: New models for 2008 now in stock! The following new for 2008 items have arrived 585 Bluegrass Bandit, 1313 Palomino Benefit Model, 1316 Little Tahoma, 1317 Black Beauty and book, 1321 Cheveyo Collectors Choice, 1330 Theodore OConnor, 1331 Liver Chestnut Benefit Model, 1346 Azhar Arabian Horse, 2008 Dealer Manuals, 4098 Horse and Tack Craft Kit, 4099 Paint Your Horse Kit, 62006 Pinto Horse and Foal (Foal is a NEW mold, cute! ), 62007 Morgan Horse and Foal, 62008 Warmblood Horse and Foal (BOTH new molds), 5500 Stablemats Saddle Club 4 piece play set, 59222 Stablemats Stable Accessory Set, 49223 Stablemates Grooming Accessory Kit, 59231 Stablemates Camping Set, and 2020 Winners Circle Accessory Set. We are following the new guidelines from Reeves, and these are Minimum Allowable Advertised Prices per Reeves. Free shipping on all orders for new in box Breyers over $75 is now in effect. This DOES NOT include any RECENTLY DISCONTINUED OR CONSIGNMENT/USED/VINTAGE MODELS. Recently Discontinued models are already discounted, and the way consignment models are priced does not include their shipping. Please remember that the system is not set up to discount shipping, but if you pay using a credit card, the shipping is deducted before the card is processed. If you pay using paypal, you will receive a refund via paypal. December 24, 2007: News on the 2008 Breyer model horses and products! I have posted the new for 2008 models to the website, and all current/new models have been adjusted to the new Minimum Allowable Advertised Price (MAAP). Reeves is requiring that all online Breyer dealers use their MAAP pricing, or else accounts may be closed by Reeves. 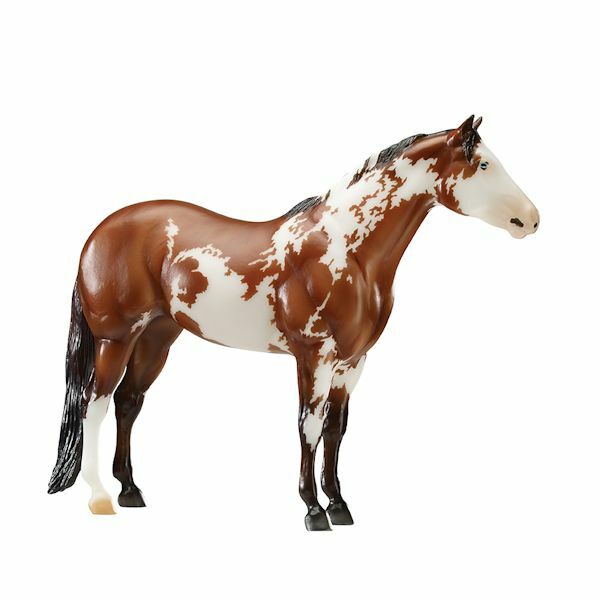 We are complying with this request so that we can continue to sell Breyer model horses. In order to help compensate for these higher prices, we are offering free UPS Ground Shipping to continental US on orders for new/current Breyers that are $75 or more. Orders under $75, orders sent through the Post Office, or orders sent to Canada will also be considered for a shipping discount. Please note that the free shipping does NOT include any consignment/vintage/used models, and it does not include any items that are "recently discontinued" as those items are already reduced in price. MAAP pricing only applies to the new in box current Breyers in the 2008 catalog, so anything that is discontinued or any consignment models we have do not have to follow MAAP pricing. May 3, 2007: More Breyer and Peter Stone Model Horses added to consignment page! I just added several Peter Stone models and Breyer model horses to the consignment pages. April 19, 2007: More Breyer and Peter Stone Model Horses added to consignment page! April 14, 2007: Now taking orders for the Picture Perfect Breyers, as seen in JAH! Check out the three new Picture Perfect Breyer models, as featured in a recent issue of Just About Horses (JAH). We expect these models to arrive the end of April, first part of May. Quantities are limited and orders will be filled on a first come first served basis. March 22, 2007: The 2007 Edition of The Model Trading Post Insurance Guide is finished! The newest version is sorted by mold names and is 92 pages long! It will be in stock and ready to ship the week of March 26. March 10, 2007 More Consignment Models added today! We just received several excellent condition consignment models and have added them to our site, including Adios w/box, Brenda Breyer Gift Set w/box, and a BHR Resin Mr. Conclusion! March 1, 2007 More consignment models added to website! We just received several excellent condition consignment models and have added them to our site. February 18, 2007 Christmas and Halloween Models posted to website! We received information on the 2007 Halloween and Christmas items. We do not have pictures that we can put up yet, but as soon as we do we will put them up. Email us with any questions you might have. February 14, 2007 New Shipment Arrived! The Blackjack with book is now in stock! We will no longer be sending out newsletter emails due to problems with emails bouncing back and being read as spam. Please continue to check this page for any updates. We received a shipment of the #1282 Akahl Teke, #707 Bouncer Welsh Pony, and #1298 Lets Go Riding Western Set and they are all now in stock!. Please note that we will not be sending out our sales list in the mail this year. Instead, the 2007 pricelist is ready and can be printed by clicking on "printable saleslist" on the right hand menu under Information.